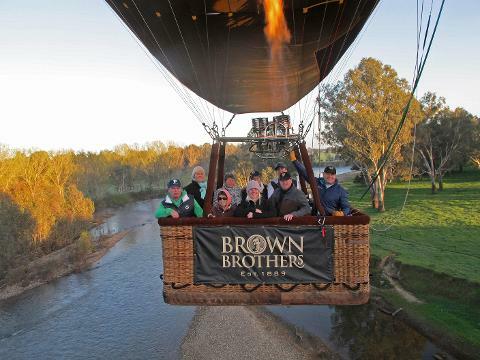 The picturesque King Valley offers fantastic ballooning and Goldrush Ballooning are delighted to partner with Brown Brothers Milawa Vineyard and Snow Road Produce to create the perfect gourmet ballooning experience. 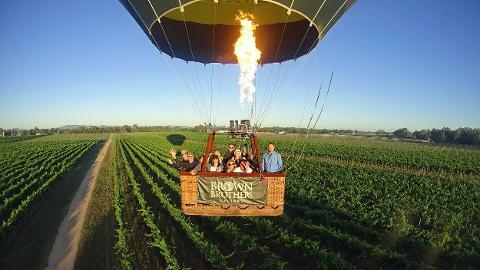 A Beautiful Balloon Flight in the King Valley – Gourmet Ballooning at its best ! 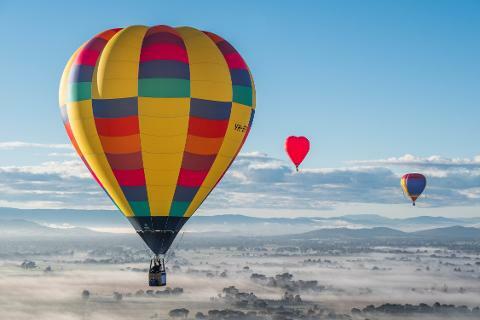 Take in the beautiful King Valley and surrounds in your balloon at dawn. 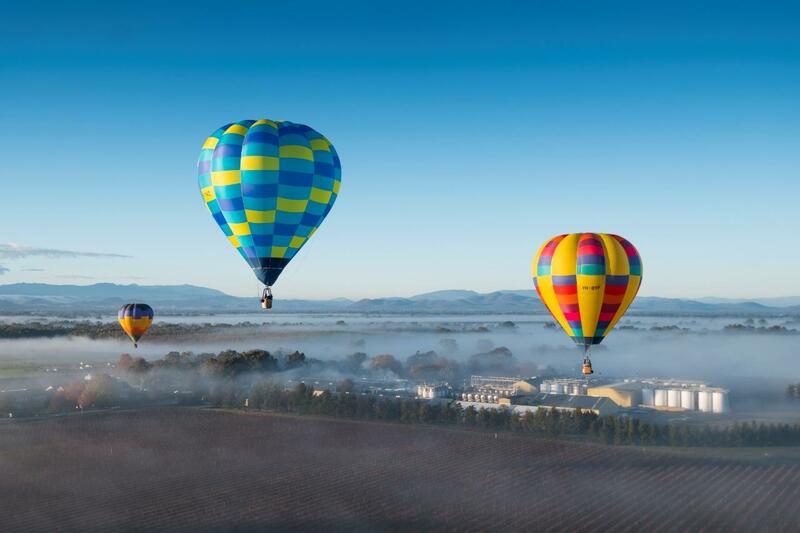 From the vineyards and patchwork of fields, the views expand to the Ovens River, spectacular Mt Buffalo, Mt Stirling and the High Country beyond. Get a real sense of this fertile valley from aloft and the enormous potential of the region to produce European wine varietals and gourmet produce. We meet at Brown Brother Historic Barn before first light to allow us to fly in the perfect conditions around sunrise. Our expert crew will provide you with informative details throughout, and invite you to be involved in the inflation and deflation process if you wish. 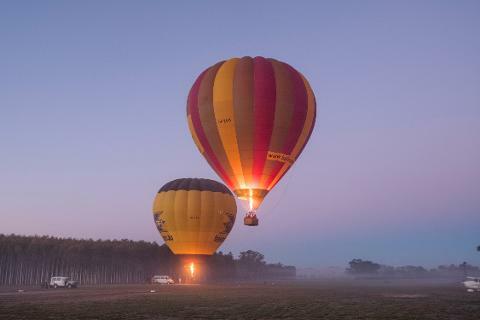 After a short drive to the launch field, usually Brown Brother's Milawa Airfield, it takes about thirty minutes to inflate your balloon, and once ready you'll be invited to climb aboard. You'll receive a full passenger safety briefing before take-off and the experience is safe, friendly and professional. The ground crew follows and meets the balloon at its landing. After a quick pack-up, your crew will drive you back to Brown Brothers. The complete activity lasts between 3 and 4 hours and is suitable for ages 7 to 97.
o In-flight photography during the flight, to prove you were there! 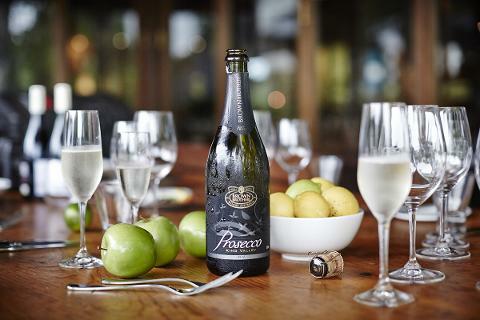 o Delicious Prosecco breakfast at Brown Brothers - optional and highly recommended. From Melbourne: Milawa is a 2hour 17minute drive northbound on the M31 Hume Highway from the Metropolitan Ring Road in Melbourne. Take the left exit just after the Glenrowan BP Service Centre(approximately 2hours drive from the beginning of the Hume Highway) and turn right onto the C522 / Snow Road which takes you to Milawa. From northeast Victoria and Albury: Milawa is conveniently located less than an hour's drive from most places in Victoria's northeast and Albury / Wodonga in NSW. For luxury accommodation just a short walk from our meeting point we recommend Lindenwarrah at Milawa, and Milawa Motel. We are also pleased to provide contacts of local accommodation establishments upon request. On the morning of your flight, we meet at the Historic Barn, Brown Brothers Milawa Vineyard, 239 Milawa-Bobinawarrah Road, Milawa, Victoria 3678. The meeting time varies with the sunrise time and is usually around 45 minutes before first light. We also require you to call our Duty Pilot the night before your flight to confirm final arrangements. All these details will be sent to you in your Flight Booking confirmation email. * Times may vary slightly due to conditions.